There are many different type of pools are found, depending on the body of water. Especially when you fish rivers, it is important that you learn what each type of pool is and how the trout will use it. Eddies are located in the midsection of the pool and created by the constant swirling of the water as it moves around and then back on itself. Eddies are favorite resting places for trout in that food can easily become entrapped due to the swirl of the water, which makes eating easy and the selection broader. If you fish for trout in Eddies, it is important to note that trout face downstream again because of the way in which the water swirls. The trout will lie in wait until its prey becomes trapped comes around on the arch of the water. When this happens, the trout can see the prey better and you! Therefore, you will need approach the Eddie from a downstream position and with great caution. You want to keep your body as low in the water as possible so the natural environment works in your favor to keep you hidden as much as possible. 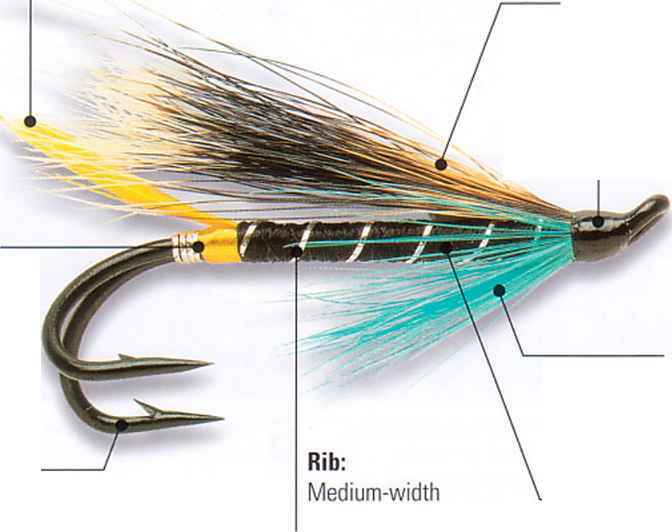 Finally, cast your spinner well beyond where the trout are lying so get a strike. This section of the pool is found at the front where the water falls over the ledge and into the midsection. Trout really like lying at the head since it provides them with excellent visibility for both prey and predators. Additionally, since the head will usually have a slight lip, which pushes the current back upstream for a short distance, the trout are able to maintain their position without having to use much energy in fighting the current. Remember, trout are one species of fish that will try to conserve as much energy as possible. In this section of the pool, the favorite resting place for trout is around the side and just above the gravel or sandy banks. On occasion, the trout will lie in the midsection as well so when fishing this section of a pool, do not limit yourself to the outer portion. Typically, a good number of trout can be found in the midsection of a pool. All that is needed is enough room to support terrestrial life. When fishing the midsection of a pool, you want to be looking for any disturbance on the water's surface and if possible, try to position yourself so you can see what is underneath the water. Just keep in mind that this section of the pool is often very deep so you may not see much. Watch the water's surface to determine if they have a regular pattern, which would indicate underwater ledges, rocks, shrubs, and so on. If you see this, you can feel confident that there are trout lying near those underwater features. Trout also love lying along what is called the "bubble line", which is a section of the midsection pool where the water creates a bubbling effect from the cascading water, as it pushes the air downward. Once the bubbles are pushed upward and carried by the current downstream, the bubble line is created. Trout will often use this line in warmer waters because they can get more oxygen, thus making them more comfortable. This section of the pool is found toward the very end, making this a prime location for trout to lie and feed. In most cases, the food is channeled through the pool, heading down with the current, and then through the pool. As it travels downstream, it will converge into a narrower section of the water, called the tail. Typically, the tail is shallow, which gives trout and advantage for good visibility and therefore, more food. Because trout will seek areas of shelter, you will seldom find them at the tail during the day. However, once the sun begins to set and the light is low, trout will make their way to the tail section of the pool. The tail is a well-oxygenated area. Therefore, the exception to this rule would be that if the day were warm and the trout is having trouble getting comfortable because of low oxygen in other area of the pool, it may make its way to the tail for some relief. In most cases, when spinner fishing, you would make your way upstream starting with the tail section of the pool first. However, try changing your strategy by fishing the tail not just in the morning but also throughout the day. Trout can be tricky fish and therefore, found in the tail at all times of the day. In other words, while you would typically find trout in the tail section in the morning or around dusk, do not limit your fishing that section just to those times. If you are not having success in other sections, go to the tail to see if you have any success.